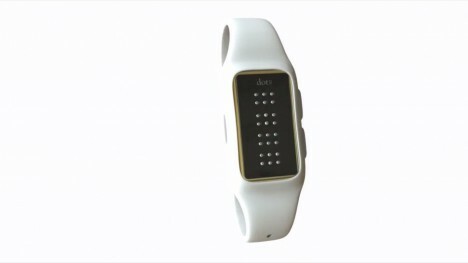 This dynamic braille-screened smartwatch dynamically raises points (or: dots) above its surface, allowing the blind to read text messages or translate webpages right on their wrists. Sleekly designed like other hot smartwatches on the market, the Dot can show up to four characters at a time at customizable speeds, representing a dramatic change from clunky USB-plugged computer adapters and potentially distracting text-to-voice translators. The Dot is just 1/20th of the size of these traditional terminals and 1/10th of the cost. 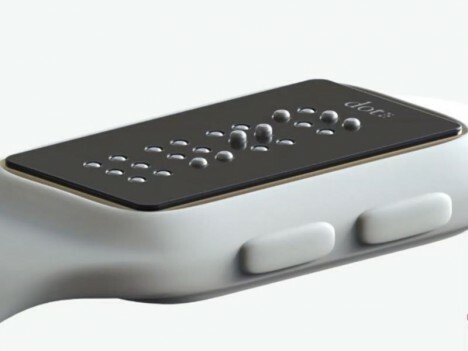 A new type of actuator makes it possible to present braille with much less technological baggage (and cost). Oh, and it tells the time too. See more in Clocks & Watches or under Gadgets. August, 2015.